Tags: air pollution, climate change, coal trade, industrial, newcastle, newcastle australia, smoke, smoke abatement. 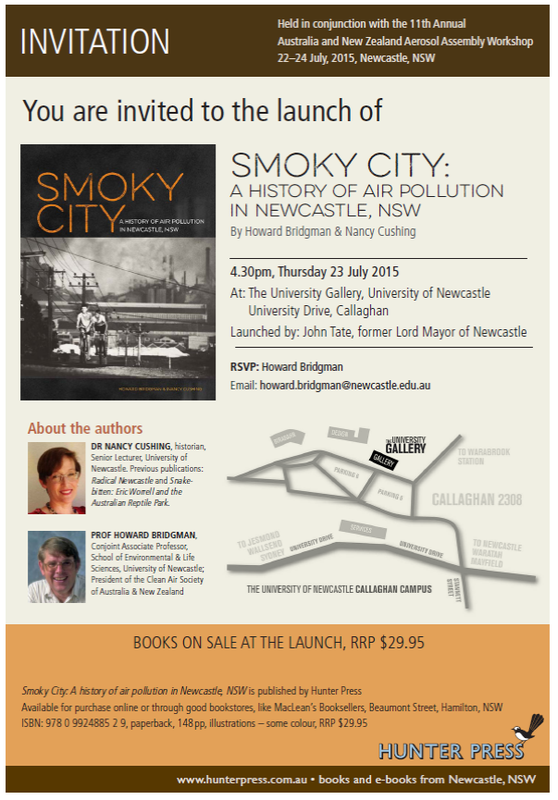 Everyone is invited to attend the book launch of Smoky City – A History of Air Pollution in Newcastle NSW by Dr Nancy Cushing and Professor Howard Bridgman of the University of Newcastle (Australia). The book will be launched by former Lord Mayor of Newcastle John Tate.